The crunch of pebbles underfoot and the salty tang of a fish and chip supper, mingling with fresh seaside air. Waves heave up the beach as the sun sets, and a cloud of starlings soars, hypnotic as a shoal of fish, over Eastbourne’s postcard-like pier. This is the life. Tucked snugly in between the bracing, beautiful coastline and Sussex’s poetry-inspiring South Downs, Eastbourne has all the old-fashioned joy of the English seaside, with a peaceful touch of class, away from the hustle and bustle of neighbouring Brighton. Eastbourne’s gorgeous Victorian pier, built between 1866 and 1872, makes a great focal point for a morning spent at the town’s picturesque beach. Crunch your way across the pebbles, taking a minute to skip some stones and choose the smoothest shell to sneak into your pocket. Then head up to the pier and enjoy a few games in the mini amusement arcade. Eateries on Eastbourne Pier include The Chippy for your traditional cod-in-batter feast, and the Victorian Tea Rooms do a top-notch cream tea if you’re after something sweet. 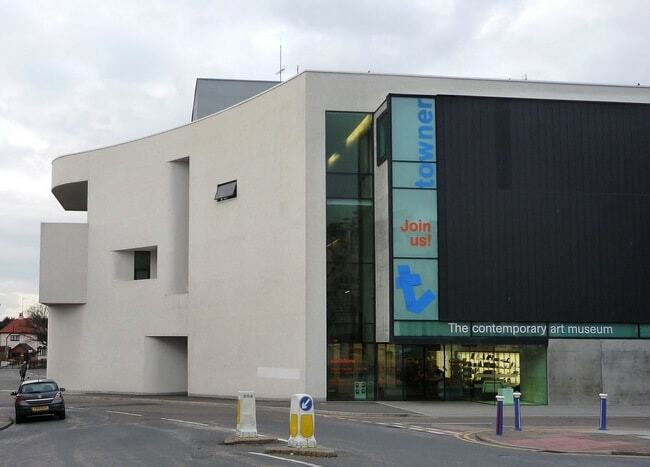 The striking white Towner Gallery makes an impression on first glance. This modern building is an eye-catching contrast to the town’s Victorian seafront architecture, but it’s the exhibitions within that make the space so memorable. Be sure to check out the collection of watercolours by Eric Ravilious, whose unique style captures the South Downs and his home county of Sussex in sweeping shapes and uplifting colour. A bracing walk along the coastline at Beachy Head is essential in Eastbourne. The pretty red-and-white striped lighthouse is a lovely view to top off the stunning sights across the sea and plunging white cliffs. Look west, and you’ll also see the impressive white Belle Tout lighthouse not too far away. 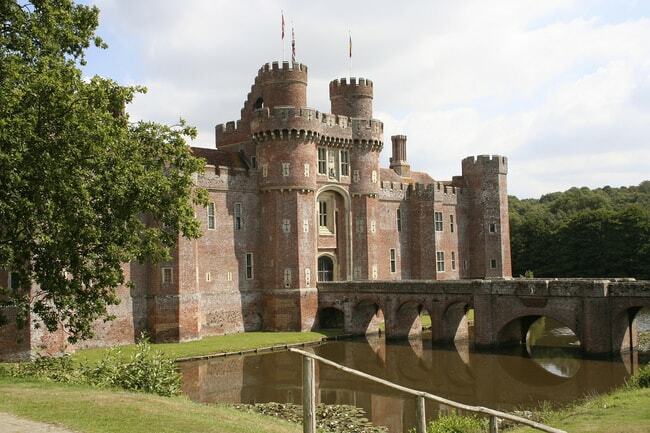 For a taste of England’s history, brick-built Herstmonceux Castle in Hailsham just outside Eastbourne makes for a magical day out. Dating back to the 15th century, the castle and its stunning gardens combine the grandeur of medieval England with the romance of the European renaissance. Recently donated a hand-sewn replica of the Pevensey landing scene of the Bayeux Tapestry, this museum provides wonderful insights into the history of Eastbourne and its surrounding towns. With a medieval jail preserved inside, the building itself is evocative of years gone by. 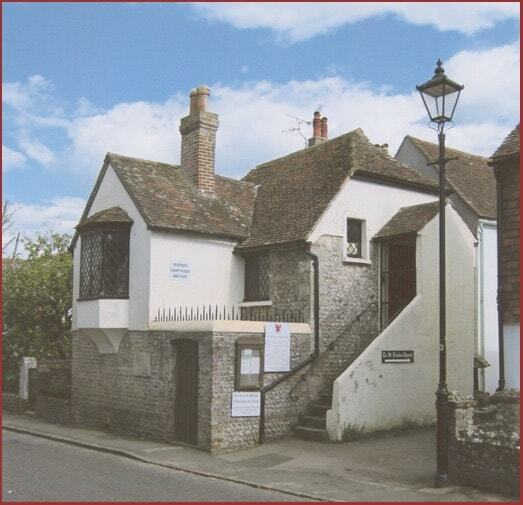 The staff is knowledgeable and passionate, ready to guide you through Sussex’s history with an expert eye. 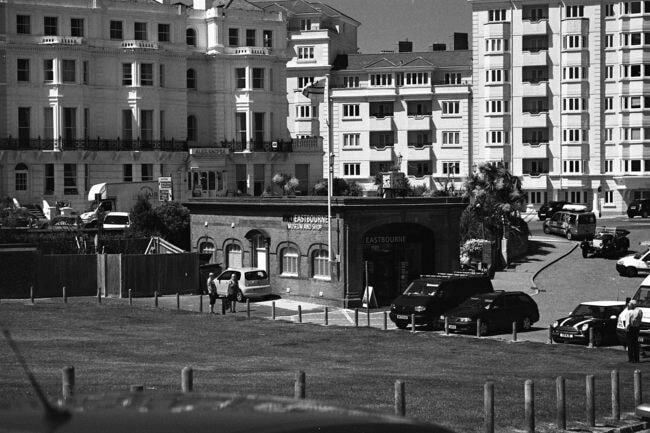 This little museum, located directly on Eastbourne seafront, is certainly worth popping into for a glimpse of the history of Eastbourne’s Royal National Lifeboat Institution’s lifeboat and the courageous work of its volunteer team over the years. From helping out with the evacuation at Dunkirk to braving the waves to rescue stranded walkers at the foot of Beachy Head’s cliffs, you can learn plenty from the detailed displays and helpful staff. This beautiful old building houses three screens, showing the latest blockbusters alongside foreign language films and the occasional charity screening of indie and art house flicks. 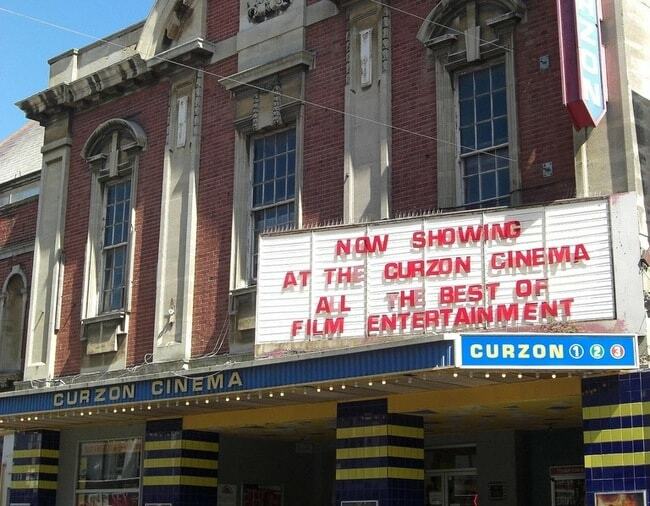 The cinema is home to Eastbourne Film Society, which has been in existence since 1949. This independent theatre venue opened in 2015 and is proof that Eastbourne’s alternative scene is on the up. 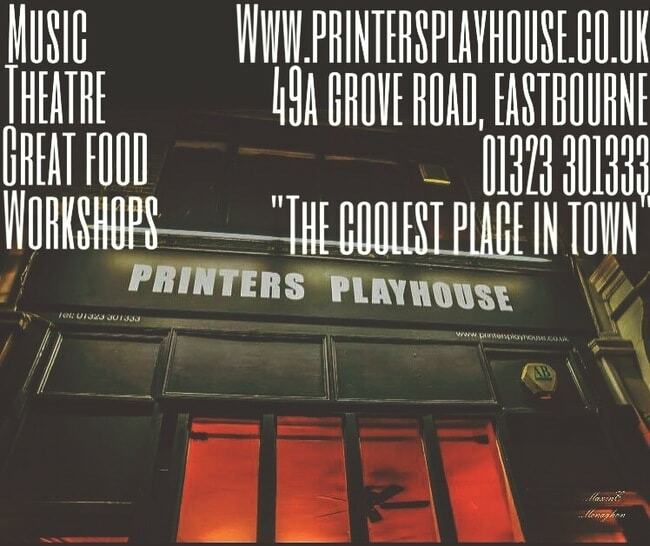 Located on the understatedly cool Grove Road, Printers Playhouse, with its glowing stage lights and cosy interior, is a must-visit for your list. 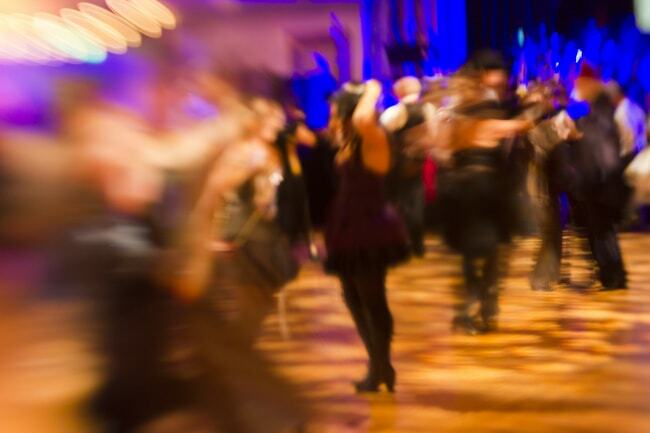 The venue plays host to comedy nights, contemporary theatre and live music from local bands. Once known as the Arndale Centre, this shiny precinct has been reimagined as The Beacon, and has high street favourites like Topshop, Primark and Lush right beside independent coffee shops perfect for a pitstop to fuel more shopping with less dropping. 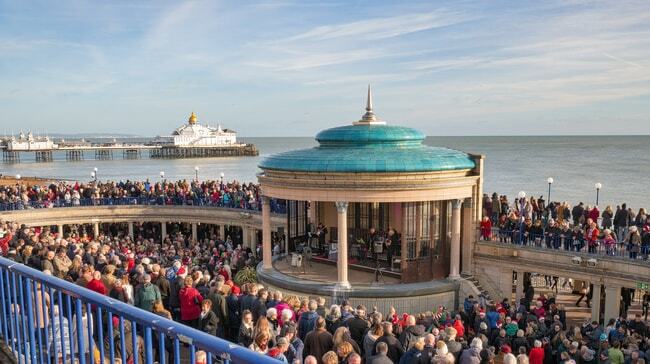 Known for hosting more live events than any other in the country, Eastbourne’s bandstand combines new and old, with its traditional architecture making a splendid backdrop for wild rock-and-roll gigs, joyful choirs and haunting acoustic performances from local singers. With the sea swirling behind it, the 1,400-seat venue makes a dramatic spot to watch a concert. This is the largest marina complex in Northern Europe and is a gorgeous spot to eat lunch overlooking the bobbing boats and regal yachts in one of the four harbours. 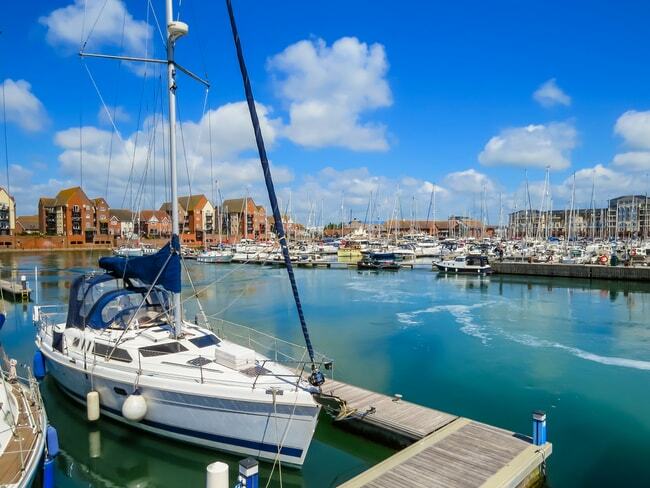 You can book a boat tour from Sovereign Harbour, or enjoy fishing or diving trips nearby. Home to the Aegon International tennis tournament, Devonshire Park has hosted matches featuring the likes of Novak Djokovic and Eastbourne’s very own Johanna Konta. For the rest of the year, these beautiful courts are an ideal spot to enjoy a friendly game, or even let out your competitive streak on the grounds where the stars have served many aces over the years. Surely Eastbourne’s proudest asset is its incredible coastline. 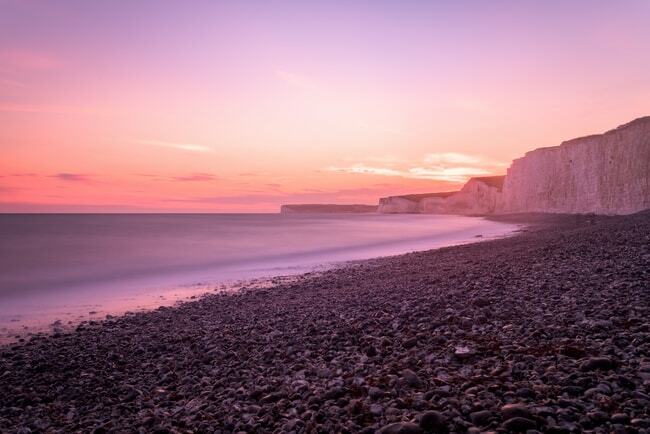 With stunning views across the sea and along the plunging white Seven Sisters cliffs, you can choose to walk, go rock pooling or simply soak up some sunshine at one of England’s prettiest spots. Birling Gap offers bracing walks all year round, and there’s a lovely cafe where you can fill up on scones, tea and sandwiches when you’re done. With a huge cash injection recently earmarked to revamp The Royal Hippodrome’s ageing facade, this theatre is soon to be restored to its former glory. Inside, the faded grandeur makes this a truly atmospheric venue to watch musicals, plays, dance recitals or of course, the British Christmas staple that is a classic pantomime. 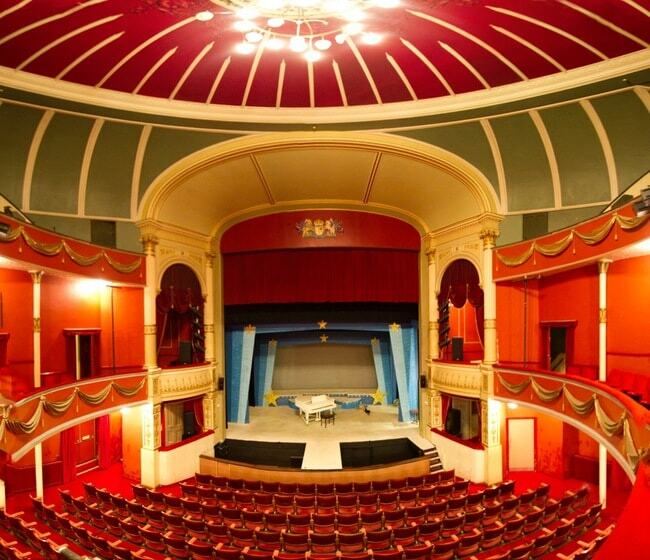 Support Eastbourne’s local arts community by heading to see a show in this charming traditional theatre space. 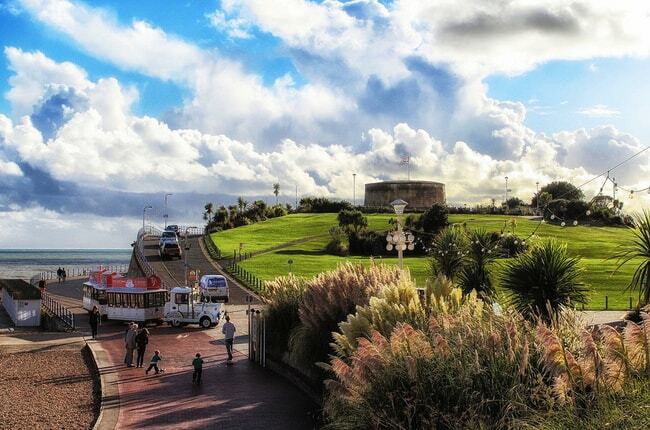 The 73rd of 74 Martello Towers built along England’s South Coast in the 1800s to defend against Napoleon, the Wish Tower is a popular spot for history buffs. Choose a guided tour to learn more about Eastbourne’s role in the Napoleonic wars, then head to the cosy Western View café for sustenance as you gaze out at sea. A book lover’s paradise. With teetering piles of second-hand reads stacked floor-to-ceiling, the smell of books envelops you as you step inside. Located on Eastbourne’s trendy Grove Road, at Camilla’s, you’ll pick up your next fiction paperback, a fancy coffee table additional and a brief history of whatever you like, all under one roof. The 200-year-old Redoubt Fortress was reopened in March 2017 after restoration works, and now visitors can enjoy lively tours from costumed guides bringing the Napoleonic era back to life. Entry is free to the fortress and the space plays host to a lively programme of events, such as stargazing with the Eastbourne Astronomical Society. 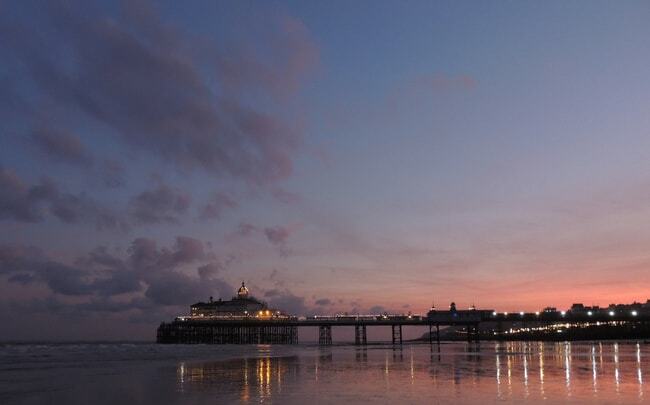 What better place to go dancing than on a Victorian seaside pier? If you’re hoping to throw some shapes, look no further than Atlantis nightclub, where you can party all night to chart hits, club classics, dance and R&B in equal measure. With space for up to 900 people, Atlantis technically counts as a super club, if being located above the crashing waves of the English Channel wasn’t already super enough. 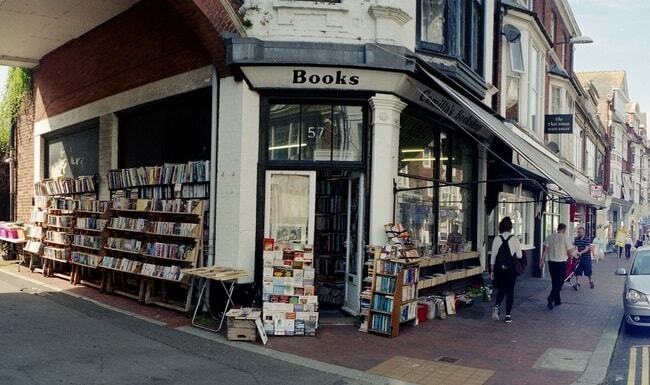 Home to the aforementioned Camilla’s bookshop, Eastbourne’s Little Chelsea is made up of a few streets near the town’s railways station, and is not to be missed if you’re after second-hand finds, eccentric fashion and classic vinyl. Located at Grove Road and South Street, this vibrant shopping quarter, with vegan cafés, trendy burger bars and an antiques emporium, adds fuel to the fire of Eastbourne’s ever-growing indie scene. 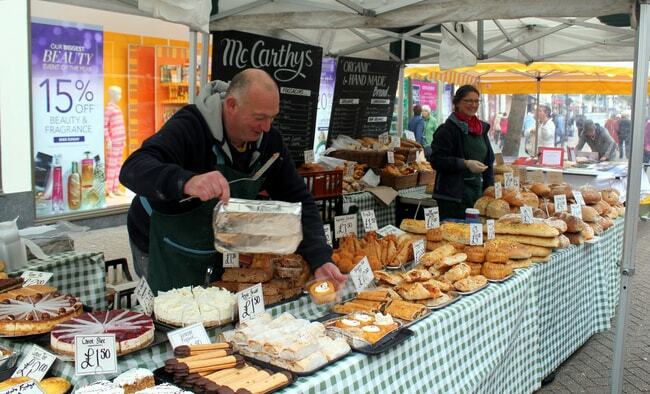 This buzzing market can be found every Wednesday on Eastbourne’s Terminus Road from 9.30am until 3.30pm. 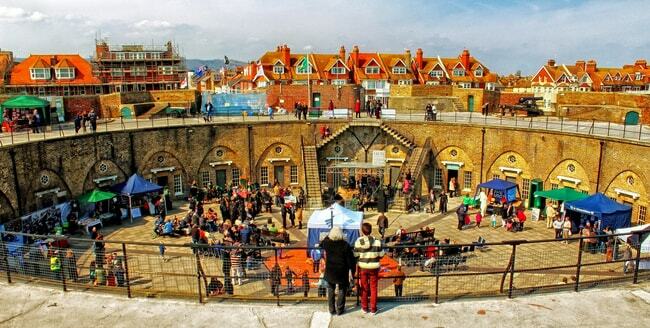 With cheerful yellow-and-white striped stalls selling local produce from cheeses, pies, fish and vegetables to jewellery, crafts and clothing, the market is a hub for Eastbourne’s community of all ages, and your best bet for a tasty take-home souvenir.